team teaching, with different skills within the team (two or more subject experts, instructional designer, media producer) will lead to higher quality teaching. As a result, over the last ten to twenty years, there has been a rapid expansion in the number of learning technology support systems, both centrally, and in larger institutions, within different academic departments. Over time, separate units focusing on faculty development, learning technology support, and distance education have become merged or integrated into multi-functional units, under a variety of names, although legacy systems can sometimes take a long while to make this shift. 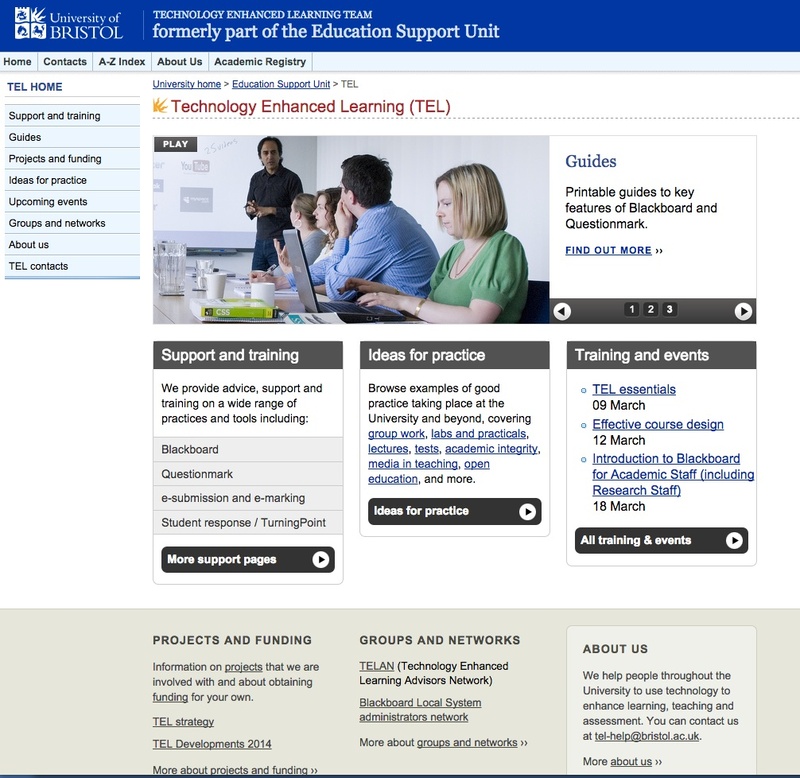 As the move to blended, hybrid and online learning increases, so does the demand for these support units, to such an extent that one university I know well now has over 60 support staff and a budget of over $12 million a year for its central Centre for Teaching, Learning and Technology, plus several ‘satellite’ units in the larger faculties. At the other end a small elementary school will be lucky to have one teacher with some training in maintaining the computers and the Internet added to their responsibilities. However, many school systems also have a central educational technology unit that can provide support to individual teachers and schools within the system. I am a strong supporter of such specialised units to work with teachers and instructors. However, this has to be balanced against the costs. Funding from these units usually comes from within the overall budget for teaching and learning which in the end results in larger classes. These support units grow in inverse proportion to the lack of pre-service and in-service training. However, these learning technology support units are essential for the effective development of teaching in a digital age. Thus a balance needs to be found between the provision of training in the use of learning technologies and the need for learning technology support units, which is why faculty development and learning technology units have tended to become integrated, and why institutions need a defined strategy for supporting teaching and learning. Thus although it is possible for a particularly dedicated teacher to teach successfully without such support, learning technology support units are becoming an essential service for most teachers and instructors. 12.3 Learning technology support by Anthony William (Tony) Bates is licensed under a Creative Commons Attribution-NonCommercial 4.0 International License, except where otherwise noted.